When talking about rugs and carpets we sometimes we assume that the consumer understands the simplest of jargon. While a term like “cut pile” is fairly obvious to a member of the trade it may not be to the average person off the street. There are many methods of making rugs and carpets and most include some form of soft pile surface. 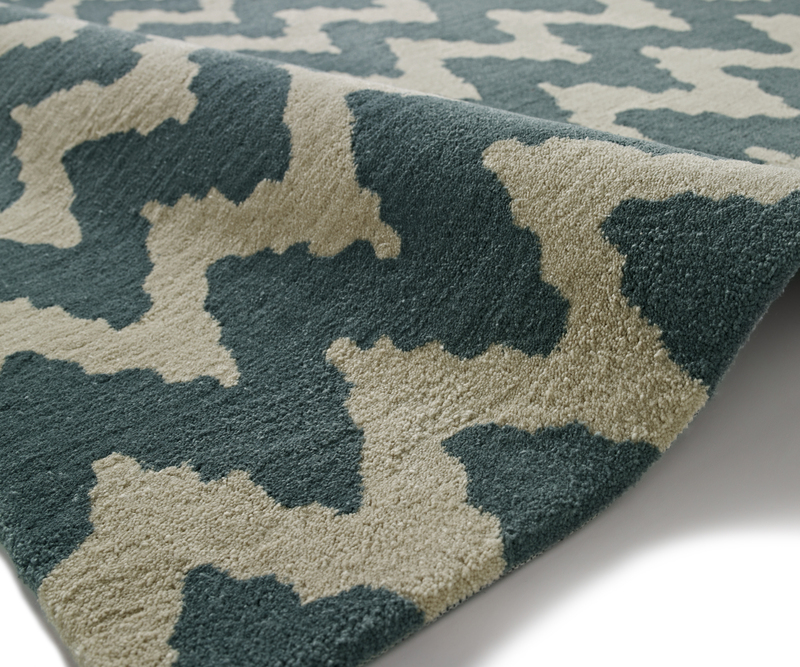 A cut pile is the most common style of carpet and rug production because it’s nicer to feel. Saying that, a cut pile can be very deep or very short so the level of comfort and feel can be varied. We often use a soft straight yarn, but there are also many cut pile carpets and rugs that have more robust twisted textures that can feel quite hard. We don’t really need to get into the the different ways a cut pile is achieved across the many manufacturing techniques. It is irrelevant what the pile surface is made of, be it wool, polypropylene, nylon or any other fibre the method is the same. The simplest way is to assume that the pile surface of all carpets and rugs are made from a continuous length of yarn. The yarn is inserted or woven to form a stable backing with pile surface. Because the yarn is continuous, the piles surface will be looped. Simply cutting the tips of the loops will give a cut pile. The carpet or rug can go though other process to enhance the feel and look, but the basic method is to make the pile surface as a loop then cut the top of the loop to achieve the cut pile effect. Of course when it comes to jargon there are many styles of cut pile surfaces available, long casual shaggy pile, Deep plush soft Saxony piles, durable textured twist pile and elegant short velvet piles. This entry was posted in Uncategorized on June 18, 2015 by encove.